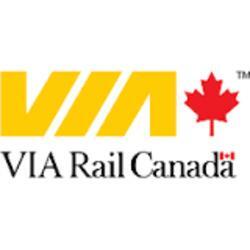 Travel credit in the amount of Three Hundred Dollars ($300) off the cost of a VIA Rail ticket on any of VIA Rail train services within Canada. Valid until May 18 , 2018. Travel credit is not valid for travel from December 20th to January 5th.